The majority of breast cancers originate in the lobular or ductal cells of the milk-producing glands. In these structures, there are two main cell types: the inner luminal cells surrounded by basal myoepithelium. These cells types are distinct and are the precursors to various forms of breast cancer. As such, it is important to study these cell populations independently as well as in co-culture models systems. 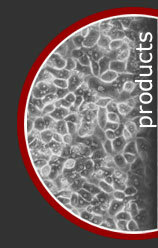 ZenBio is proud to offer cryopresevered human mammary epithelial cells. Cells have tested negative for HIV-1, HIV-2, HTLV-1, HTLV-2, HbsAG, HbcAB, HCV, and RPR. Basal myoepithelial cell surround the luminal cells and have both contractile muscle and epithelial properties. Basal myoepithelial cells tend to dominate normal primary cultures. Additionally, basal-type breast cancers are typically estrogen and progesterone receptor negative. Luminal cells line the apical surface of the normal breast duct and have secretory properties. Most breast cancers arise from luminal cells and are heterogeneous in their expression of hormone receptors and ERBB2 expression.